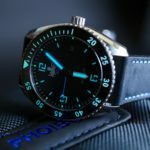 If you are someone that is always looking for the most value or the most bang for your buck when it comes to watches, Phoibos is probably a brand you should be looking at. 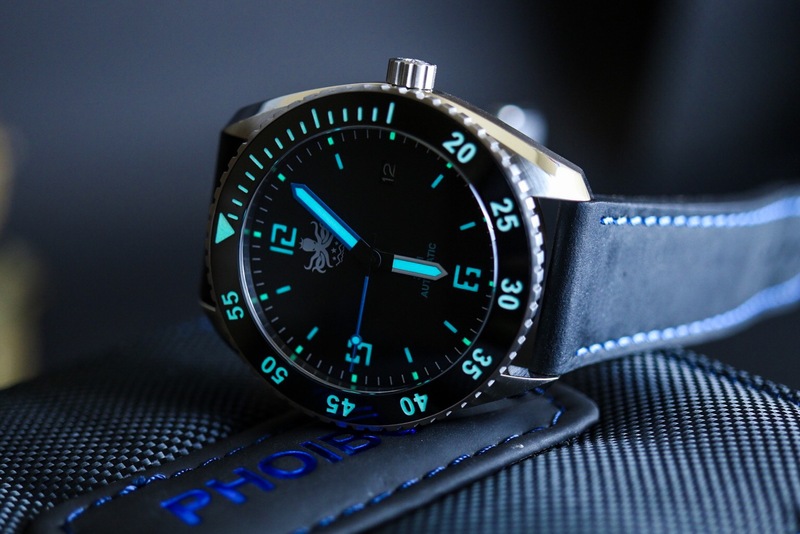 The model I have in for review here is the Phoibos Reef Diver, which ranges from $229-$239, depending on the case finish. As you will see in the specs below, you get a lot of features for that price tag. 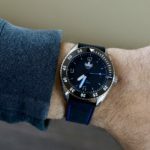 I have covered a lot of watches under $300 over the past few years and some are great, some are just okay. I would put this one somewhere in the middle of that. 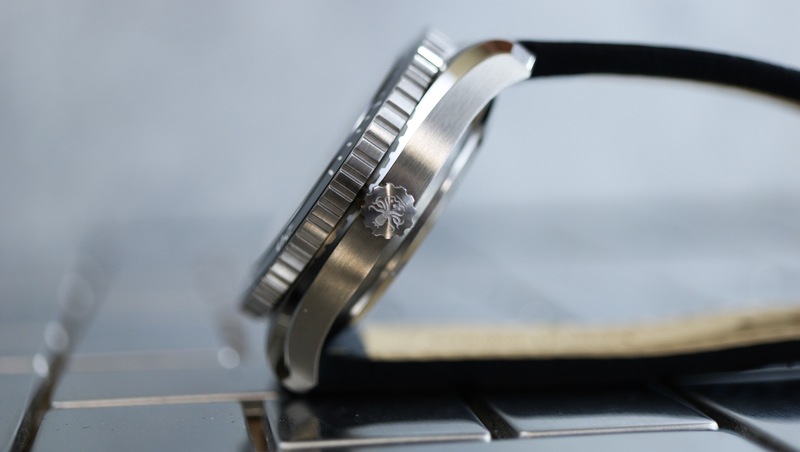 The build quality and finishing are very good, but one or two design elements are a little off for me. 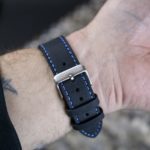 At their current sale price, I am probably being overly picky, but that is what I do here. If you want to know more, keep reading. I have two versions (there are a few others as well) of the Phoibos Reef Master in hand. 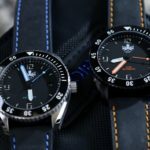 I asked them to send me one of the stainless steel and one of the PVD coated models. 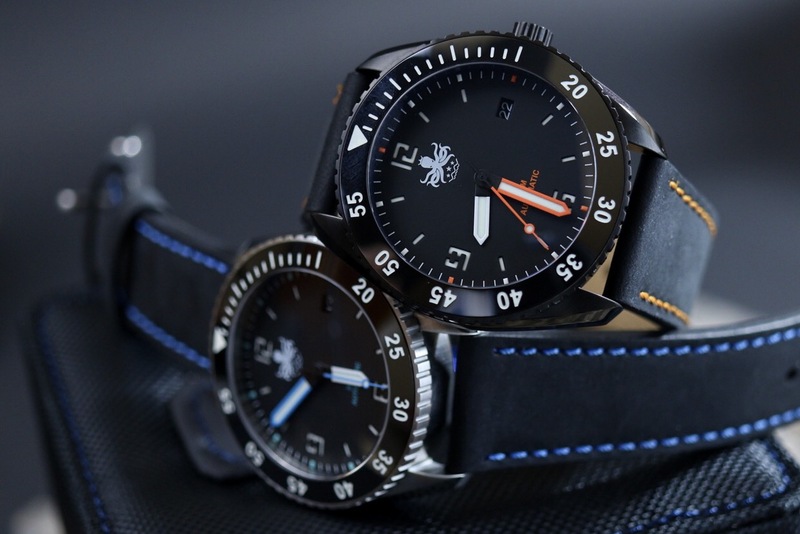 Both watches are exactly the same, with the exception of the case finish and color combos. 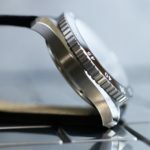 After seeing both in person, my choice would be for the non coated stainless version, as it allows you to see the contrast of the brushed and polished finishes better, where the PVD masks them too much. 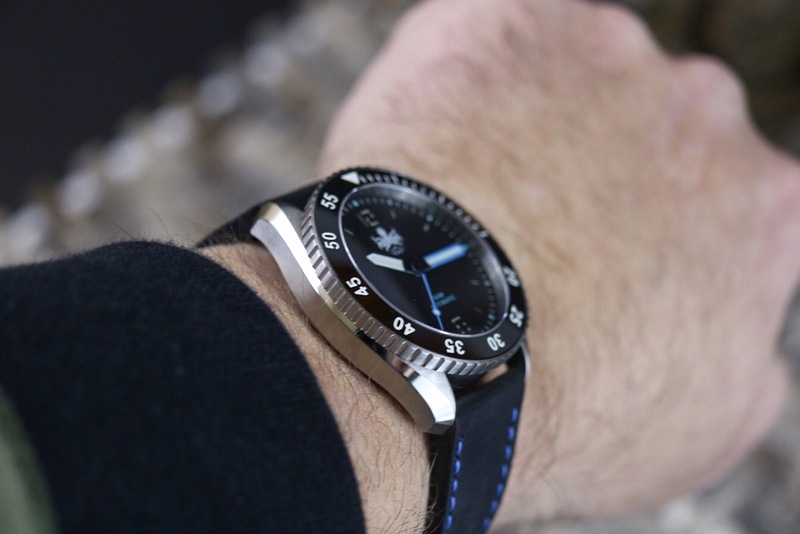 If you like a black watch, nothing wrong with it, I just think the stainless looks better. 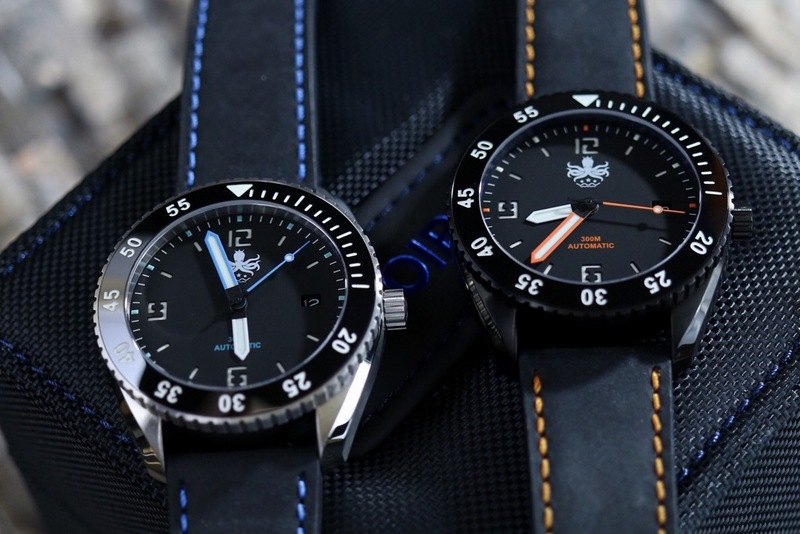 Both have sapphire crystals, ceramic bezels, leather and rubber straps and sandwich dials. When I really started looking around the Phoibos Reef Master, I was taken a back a bit. 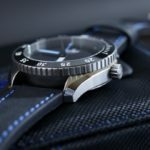 I was not really familiar with the brand beforehand, except for seeing some posts on Instagram from their page and a few others. 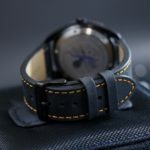 Phoibos is out of China, and from what I can tell, majority of their watches are readily available cases, catalog cases as we sometimes refer to them. I do not see anything wrong with that, especially at this price point. 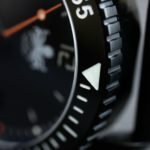 Getting back to when I first saw them in person, my first thought was- “How are they building and selling this level of watch for such a low price?” I do not really have a definitive answer to that, other than they might be involved in a few watch companies, or are part of the factory themselves that produces them, hence no real overhead or need to make a bigger profit. 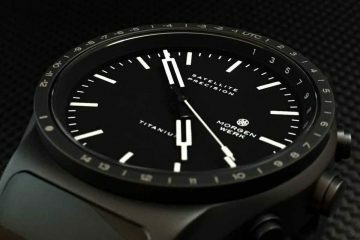 This is great for the consumer, as it allows for a pretty damn nice watch, for what most would consider low cost. On the other hand, I am not sure how other microbrands feel about the low, low pricing. 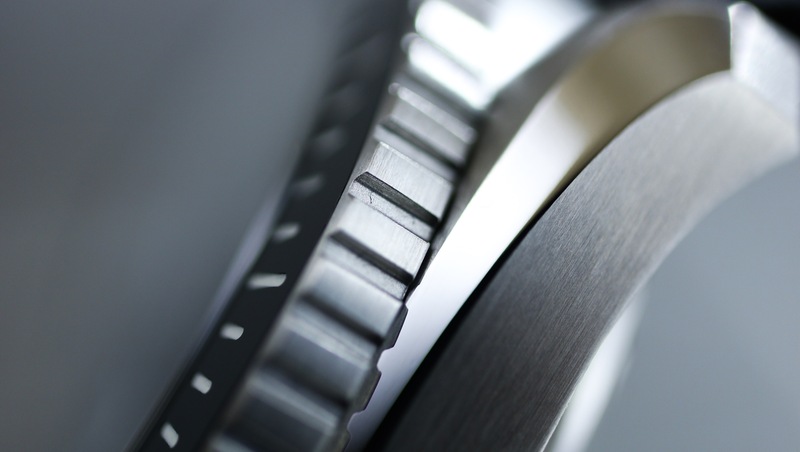 It is said over and over in reviews, but the fit and finish on these watches is impressive. 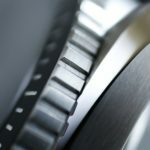 What is fit and finish? 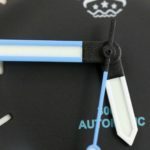 Well, its a combination of things, but how the crown and bezel operate, how the case back sits against the case, the fit of the bezel, the hands and markers, etc. Overall, this Phoibos Reef Master would get a A- from me in that department. 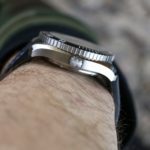 I do not feel like I am holding or wearing a cheap watch, at least not when it comes to the case and bezel. 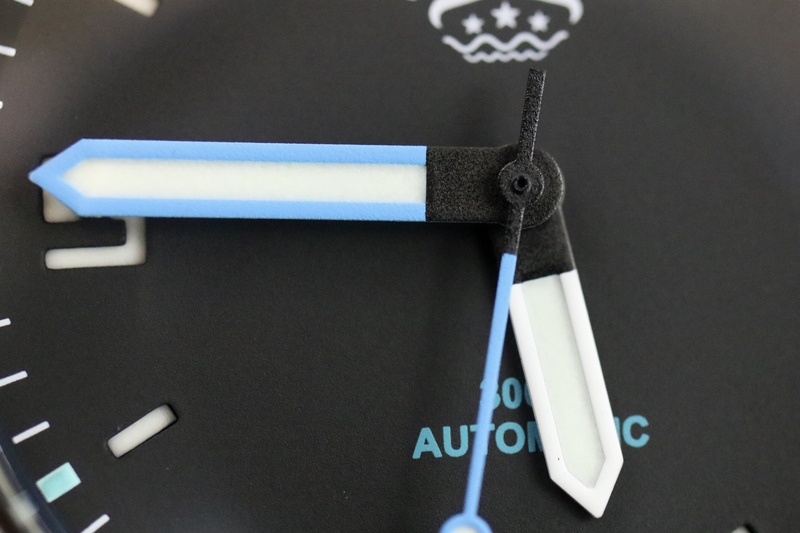 The dial on the other hand is what keeps this watch from getting that A+. 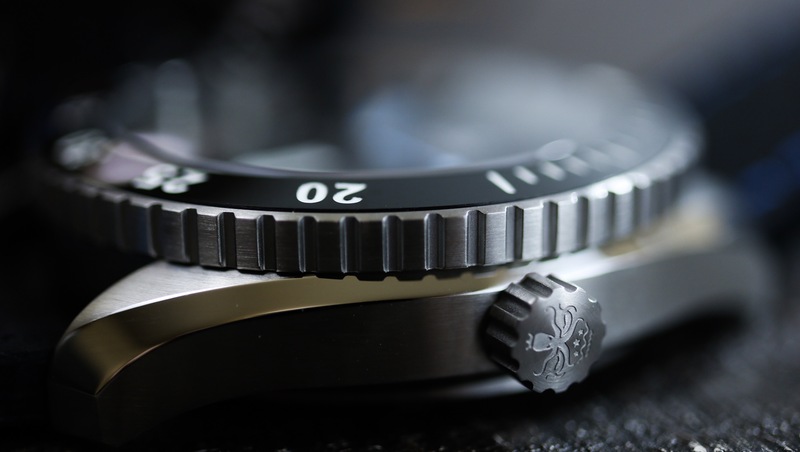 The first one, is highly subjective, but I just do not care for the octopus on the dial. 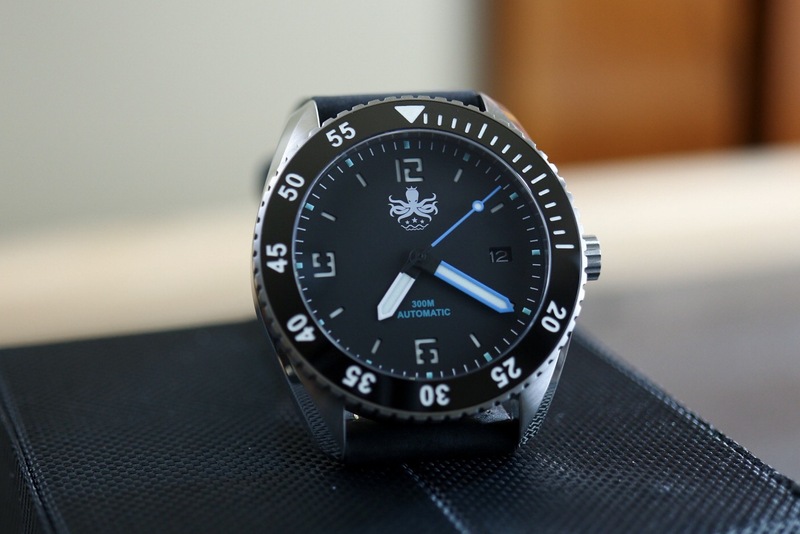 It comes off cartoonish to me, and just does not translate to a professional watch. 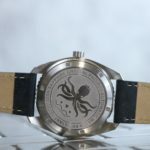 It is not just the fact they used an octopus, but the way it is drawn as well. 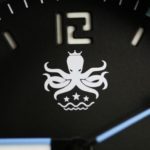 I wish they just went with the brand name and left the octopus to the back(there is one on the back as well). 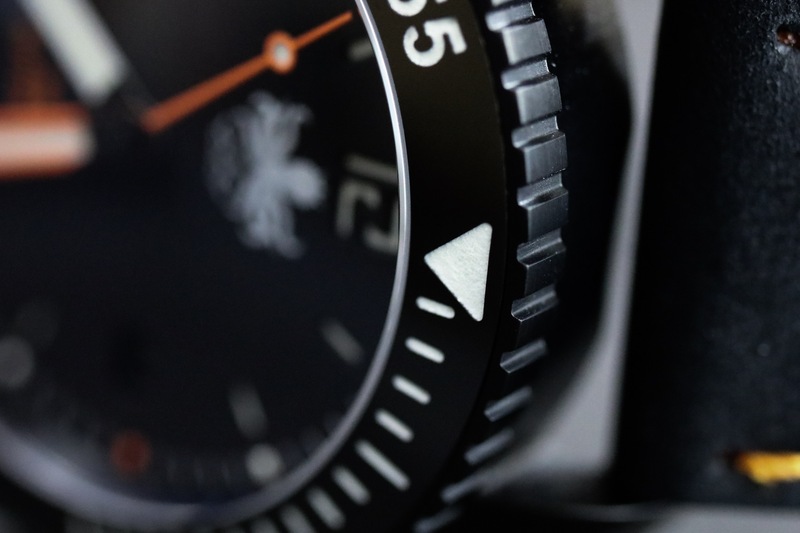 The other thing that stands out is the matte dial. It just looks cheap to me. 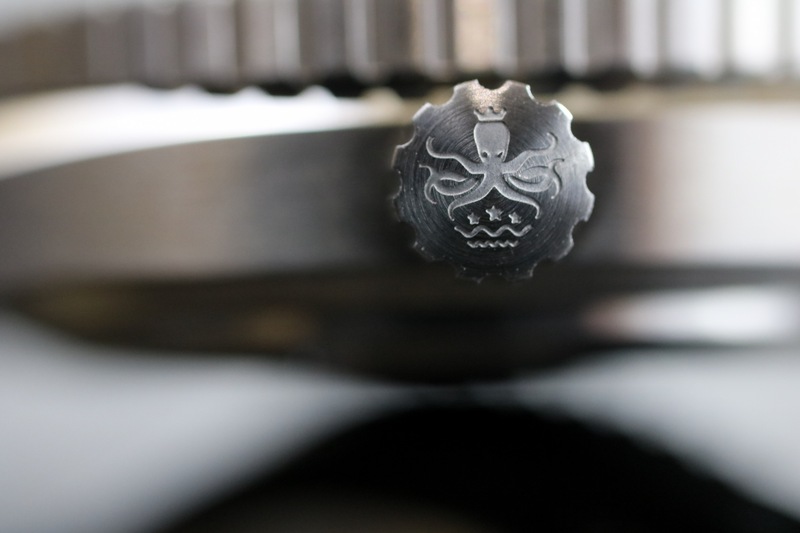 When doing macro photography on it, it looks like it is made out of black construction paper. 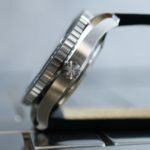 Again, this is a inexpensive watch, so there are always going to be a few areas where corners are cut when it comes to a watch priced like this, that offers as much as this does. 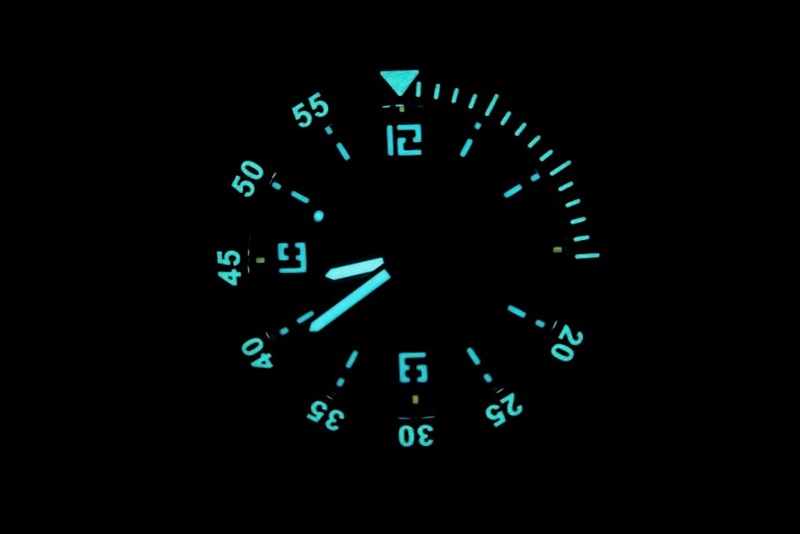 On the flip side, it is a true sandwich dial, the hands and markers and bezel insert are filled with BGW9 lume, and you get a sapphire crystal, and a Seiko NH35 automatic movement to boot. 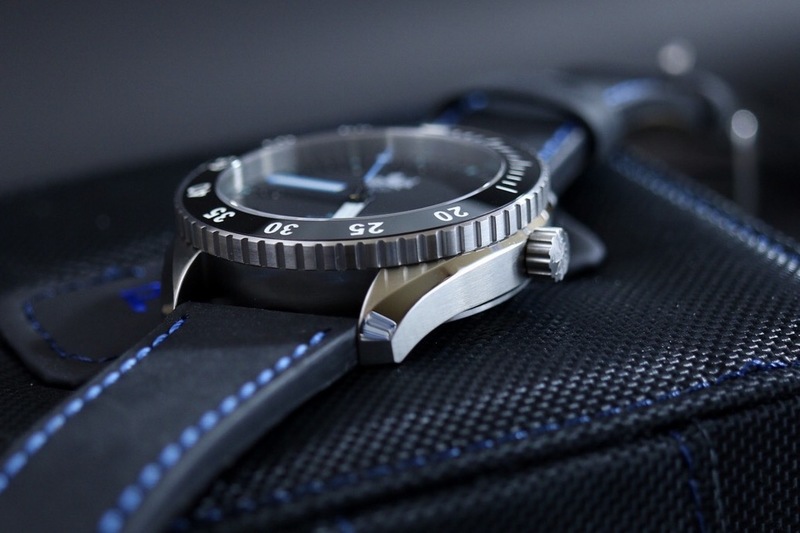 When is the last time you saw an automatic watch with these specs for under $250? 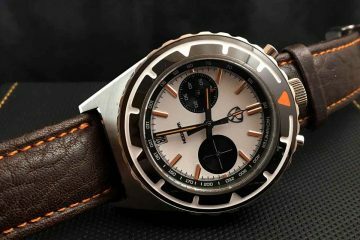 On the wrist, it is very comfortable. 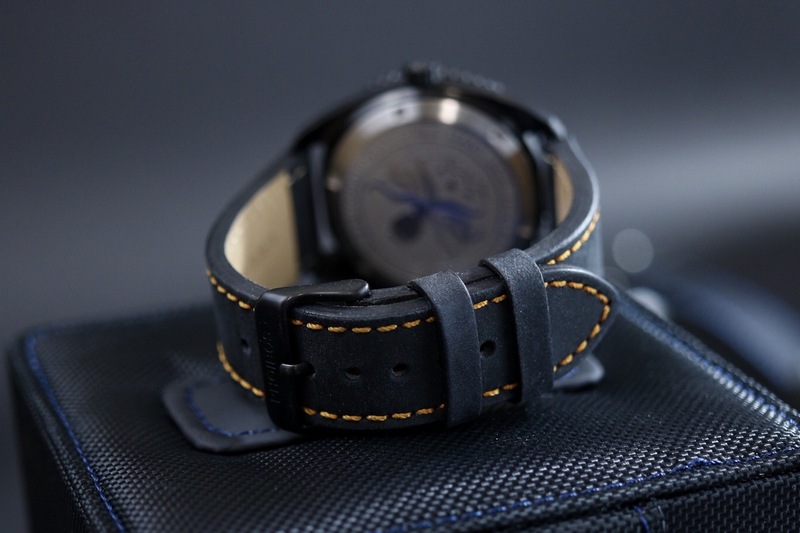 The leather straps are of decent quality and the 42X48 dimensions make it great for most wrist sizes. 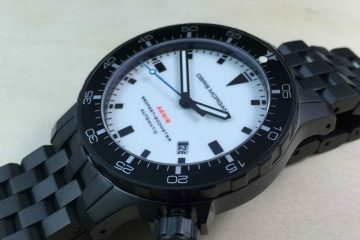 Of course, for some, this will be on the small side, but for those that do not like a big, chunky dive watch, this should work. 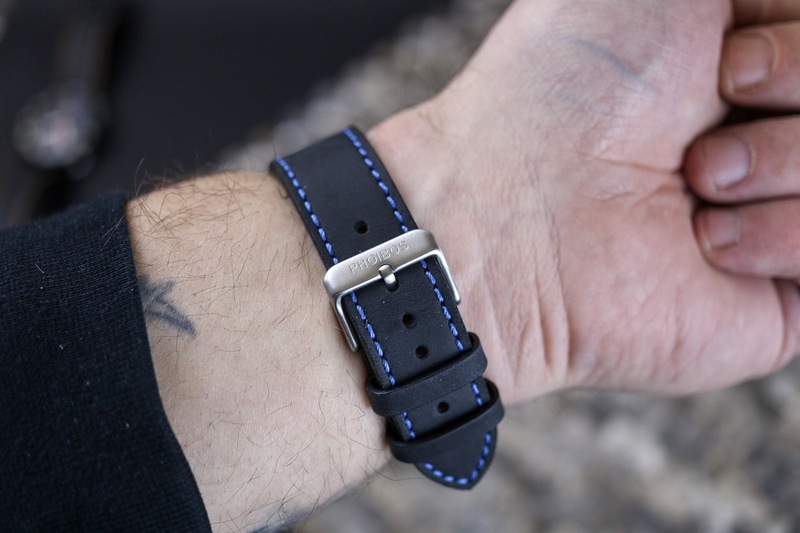 The included rubber straps that I show in the video are not all that great in my opinion, but they are included, so you do get two straps with matching buckle finish. 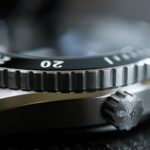 One thing I always like to check is how easy is it to unscrew the crown and set the time or date while it is on the wrist; happy to report, no issues with the Phoibos Reef Master in that department. 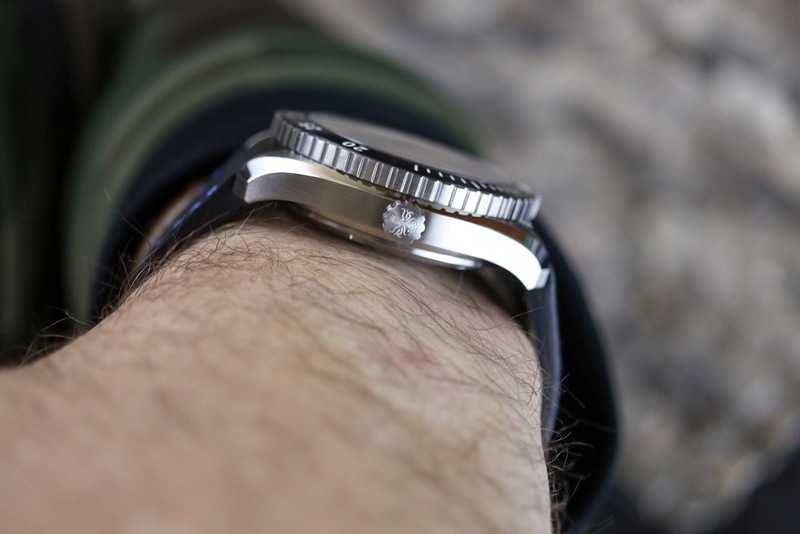 7 1/2 inch wrist for reference. 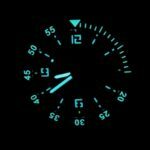 The Reef Master looks great in the dark if sufficiently charged and while the pics below do make it look like a beast in the lume department, it will basically be faded completely in about 2 hours. That is still nothing to really shake a stick at though, again, consider the price point and all that is offered. All things considred, I find the Phoibos Reef Master to be a great bargain. 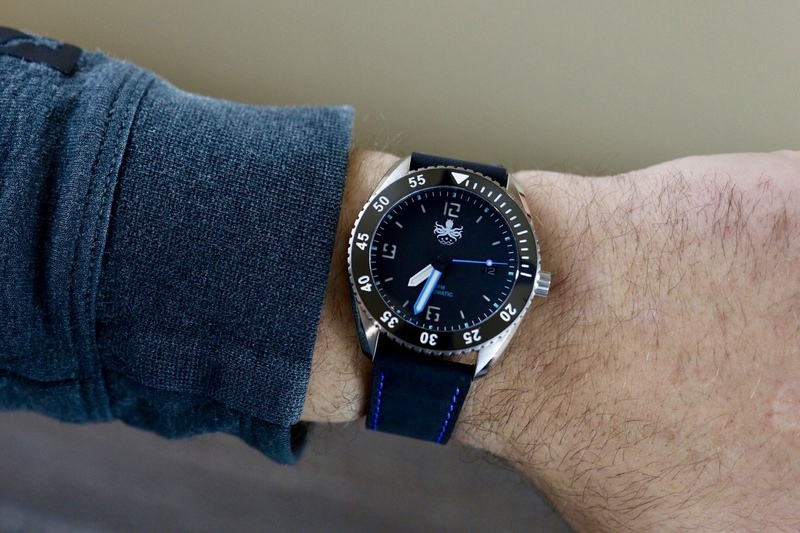 10 years ago, I really did not think you would ever see a quartz watch with all the extras at this price, let alone an automatic. 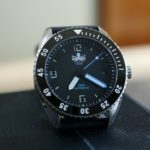 There is a lot I like about the Reef Master, and a few things I did not, but at $229, it doesn’t matter. 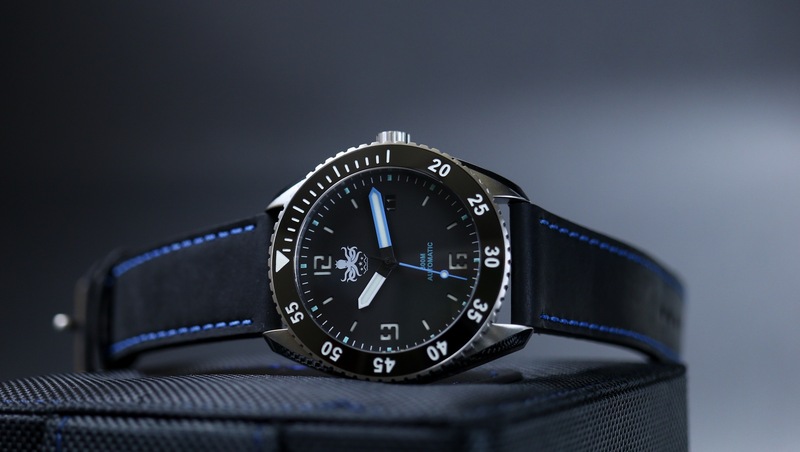 This is a great first time automatic watch for someone, a great beater watch, your first foray in to a dive watch or your first foray into the microbrand world. I mean, this is a pretty inexpensive way to dip your toes in the the water. 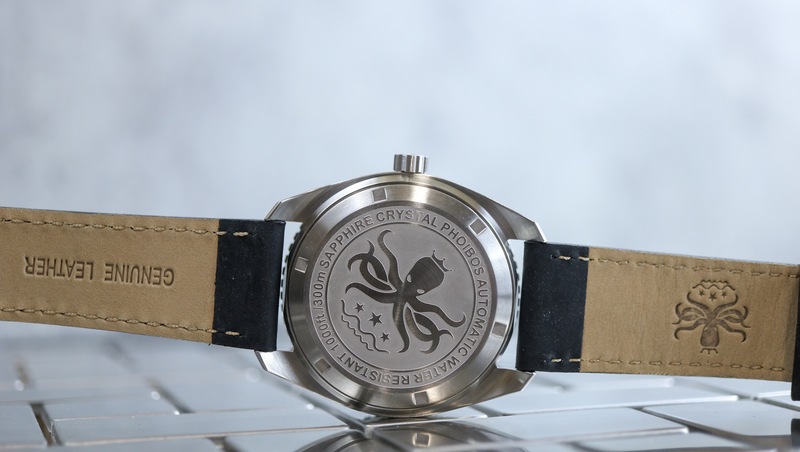 I would love if they took my advice and in future models got rid of the octopus on the dial, as that really is the biggest drawback for me, but, you can’t have everything. Thank you for reading. Please check out the video above if you have not already and you can leave your comments or questions down below. Don, valid points to consider. 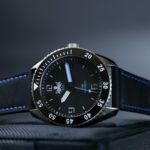 Phoibos is entirely capable of spec’ing watches with beautiful sunburst dials and “tasteful” single-line company name; just check out their PY007* Great White series. 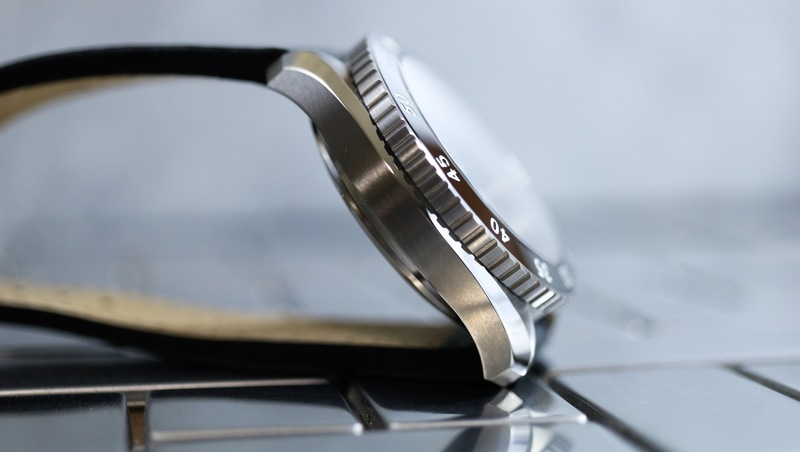 Fantastic solid link bracelet, sapphire crystal, ceramic bezel AND the Miyota 9015 auto movement, all for a current price of $223 US on their website. As concerns the Reef Master, Phoibos seems to be very receptive to comments and requests from its customer base. 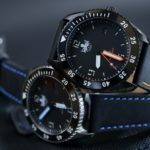 During their start-up phase they had some concerns with quality control so instead of making excuses (cough – Seiko – cough) they changed their manufacturer to a Hong Kong company that is known to produce several upper middle-tier companies’ components. 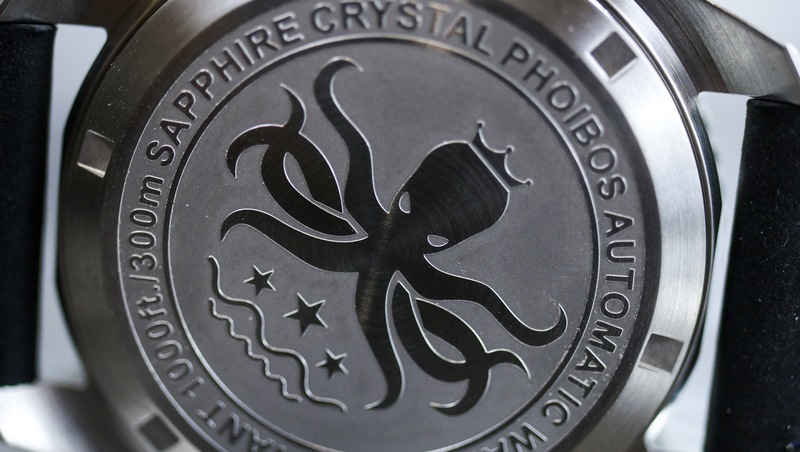 The above-mentioned Great White eschewed the King Octopus logo on the dial face for just “Phoibos” in simple text. 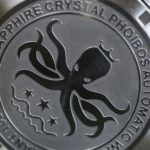 Customers clamored for King Octo to be placed on the dial (seems to be quite popular as a distinctive marker for the brand) so Phoibos obliged. 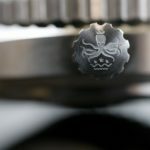 The micro brands are stepping up the game and putting pressure on the big boys – and it’s about time. Thanks for the review. 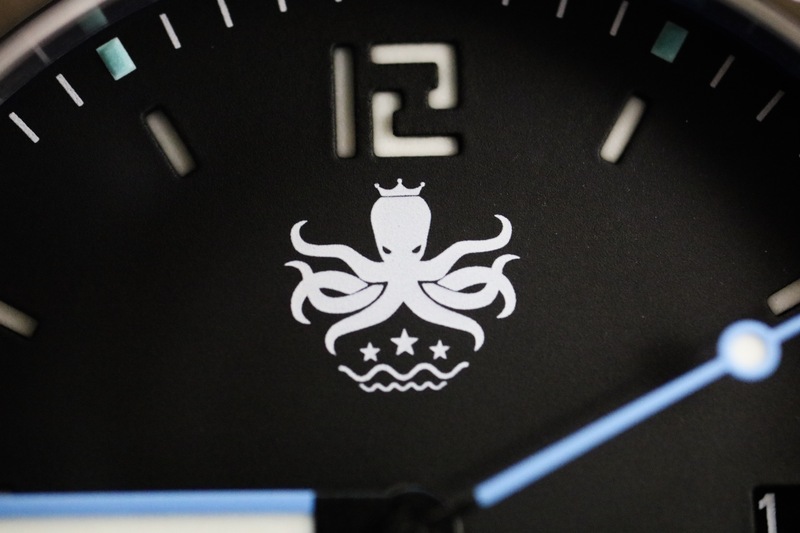 King Octopus is my favourite part of the watches! 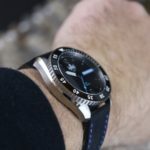 This is not a dress watch, so for people like me, that likes casual non classic divers, it looks very unique.